Handmade Dresses For 18'' American Girl Only $7.99 Plus FREE Shipping! You are here: Home / Great Deals / Amazon Deals / Handmade Dresses For 18” American Girl Only $7.99 Plus FREE Shipping! Handmade Dresses For 18” American Girl Only $7.99 Plus FREE Shipping! 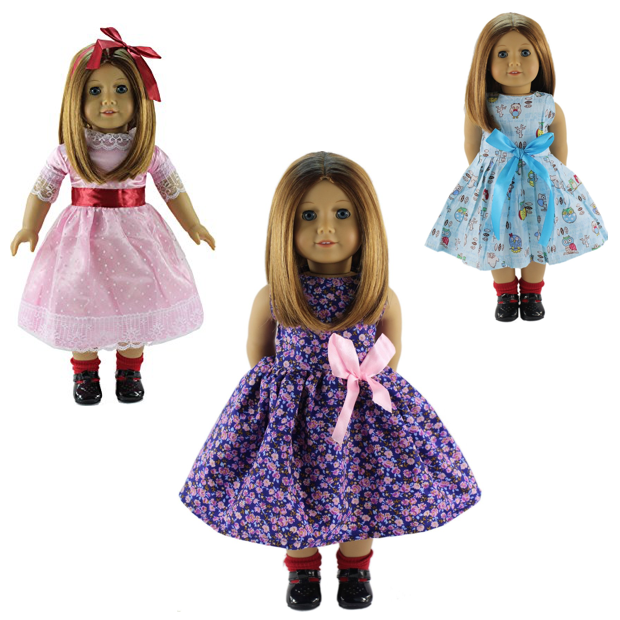 Get any of these 3 Handmade Dresses for the 18″ American Girl Doll for Only $7.99 Plus FREE Shipping! Whether your child’s favorite color is pink, purple or blue, she is sure to be happy with any of these handmade princess style dresses! Created to fit her American Girl 18 inch doll!